Mary is a natural when it comes to public speaking. Mary’s talks are relevant, raw and real. She uses stories from her clients as well as her own life to spark, provoke and incite awareness. Punt the podium. Mary walks into the audience asking live questions. Mary has been invited to speak at international events attracting thousands of people in China, Asia, the U.S., Australia and Europe. Gone are the days where it’s acceptable for leaders to stand in front of an audience and regurgitate what’s on PowerPoint slides. TED talks have elevated the art of public speaking into a more personal experience between the speaker and the audience. With many TED talks having gone viral, the TED style presentation is recognized as the new industry standard: by delivering a more personal experience between the speaker and the audience around a singular idea worth spreading. Short, concise and informative, TED style talks have demonstrated the power to educate, persuade, and mobilize global audiences. It is well known that TED speakers spend up to a year developing their talk for the TED stage, with over 100 hours of preparation, multiple coaching sessions and multiple rewrites. While not everyone will be invited to speak on the TED stage, being able to develop TED talk skills is now within reach to executives via our ‘TED Talk Power Skills’ program. Inspires and moves others to act? Has a clear and memorable message? Sparks interest to continue the conversation? 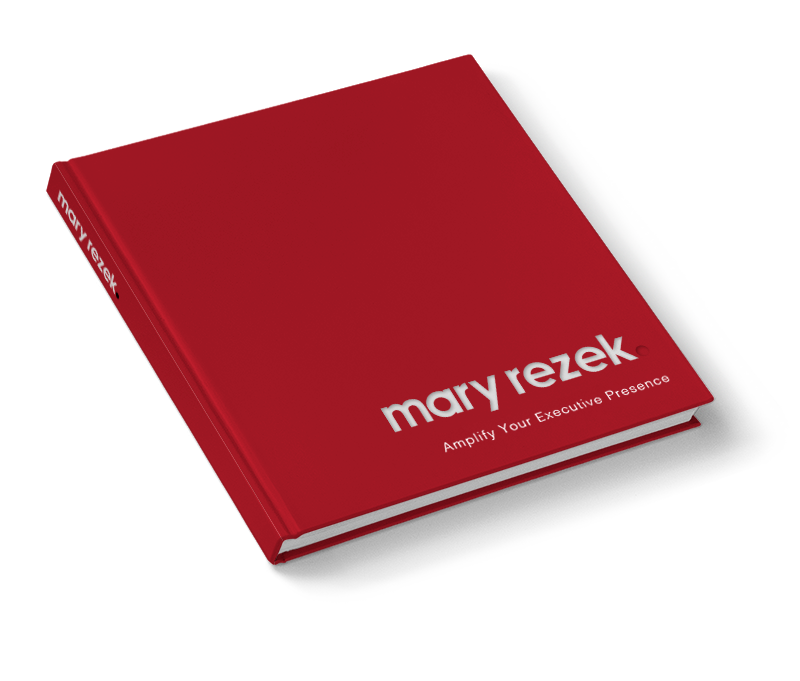 Mary Rezek and her team have created the ‘TED Talk Power Skills’ course to help leaders develop their speaking skills in a clearer and more concise manner. The aim is to bring this new and exciting TED-like experience to leaders who want to hone their speaking skills and be more inspirational. It is our hope by attending this program, that leaders will become more confident and polished in delivering impactful and powerful talks. Our desire is to see you one day on the TED stage as well! To find out more about our TED speaker coaches, click here. Mary Rezek and her team share TED’s values and believe that there is a lot to learn from preparing for and delivering TED talks. Our aim in developing the TED Talk Power Skills program is to offer people the chance to learn and benefit from this outstanding public speaking format. While Mary Rezek and her team work actively as TED speaker coaches, leaders who attend this course will not be actively selected to be a TED speaker. TED is a registered trademark of TED Conferences LLC. Mary Rezek and her associates are not affiliated with or connected to TED. Many business leaders have similar skills, backgrounds and acumen, but very few master their emotions and reactions. Amplify Your Executive Presence is the ability to project gravitas and confidence. It is the aptitude to communicate assertively whilst reading an audience or situation by commanding a room and demonstrating poise under pressure. Conciseness is your professional responsibility. It is the most fundamental competency that all successful leaders need. When successful leaders communicate clearly and concisely there is a huge return on lean communication investment, since ideas distinctly stand apart. Today’s organizations face a gap between the required skills and the capabilities of their leadership. The most effective leaders continually invest in their own and other’s strengths by surrounding themselves with teams that are strong in four domains: executing, influencing, relationship building, and strategic thinking. Leaders who focus on strengths indirectly affect trust, compassion, stability, hope and team engagement. Identify the key to being an effective leader is to show how each person’s unique strengths can drive their success and therefore fine-tune their leadership capability. Any business leader or executive who wants to be successful must learn the techniques for getting what they want from people. The most effective way to do this is through the strategic use of influence skills. In order to achieve business success, goals must be met repeatedly. Effective influencers have a solid set of communication behaviors and they understand how and when to use them. They are flexible in developing an approach and quick to respond in the moment. With the horizontal structure of today’s progressive organizations, the truly effective leader uses contemporary influence techniques to achieve results, regardless of their position within the organization. Thank you for completing the information below. Mary and I have worked together on a number of projects including TEDxShanghaiWomen and Women in Leadership Forum. She is unconventional, direct, refreshing, succinct and honest. She nows how to draw out the key point and issues, and give you key-takeways that are easy to remember and applicable to your own situation. Yes! I want to work with Mary!